Want clear, vibrant skin? A strick beauty routine is what you need to stick to in order to archive that desired, flawless complexion. We show you the following simple steps to stick to morning and night to give you fresh, healthy, clean skin! 5 minuets is all it should take – It really is that easy! Remove the day’s impurities with a good quality cleanser. Apply 1 pump of cleanser and massage in a circular motion to a dampened face. Rinse with tepid water. Make sure you have removed all traces of make up that can clog pores. Cleanse twice a day but we don’t mean twice in a row. Hold the double –cleanse in the morning however it may be necessary when removing make up at night. Hydrate and revive your face while prepping the skin with a good quality toner. Straight after you cleanse, close eyes and spray lightly over the face and neck. A toner will help remove excess dead skin cells and impurities left on skin after cleansing, help pores appear smaller and tone whilst refreshing and stimulating the skin. Let the toner absorb for a minute or so before applying moisturiser however it is good to leave skin a little damp when applying your moisturiser. Boost the skin’s natural rejuvenation process with just a few drops of a serums rich concentrate. Serums penetrate deeper than regular creams due to the structure of molecules being smaller than that of a regular moisturiser, delivering vitamins and antioxidants deep into the skin. A serum is best used after you have cleansed and tone and before moisturising. Add 2-3 drops to clean fingertips and rub fingers together to warm up the serum. The lightly pat your serum over the face, neck and décolletage. Allow the skin to soak up the rich formula fully before applying makeup. Apply morning and night for best results. Your moisturiser is an important step to hydrate the skin from external drying elements such as indoor heaters and aircon that can dry the skin. Your moisturiser will help keep the outer layers of your skin hydrated and protect the layers beneath. Smooth, healthy skin will also allow your makeup to apply more evenly and flawless.Take a pea sized amount of moisturiser and rub between fingertips to warm up the cream. Apply to the skin by gently patting the cream on your face following your morning or evening cleanse and tone. Make sure you allow the skin to soak up the cream’s nourishing elements completely before applying makeup. For extra hydration apply with 1-2 drops of the a serum. Gently buff away dead skin cells and impurities, revealing fresh and vibrant skin whilst helping the skin’s natural renewal process. Decongest the skin by gently massaging a small amount of exfoliant over the desired area in a circular motion. Rinse with tepid water and pat dry. Best applied following a cleanse. While an exfoliation leaves the skin feeling smooth and fresh, overuse can strip the skin of essential oils which provide a protective layer. Exfoliating should not be done more than twice a week. If your using quality products regularly your need to exfoliate should only be once a week max. 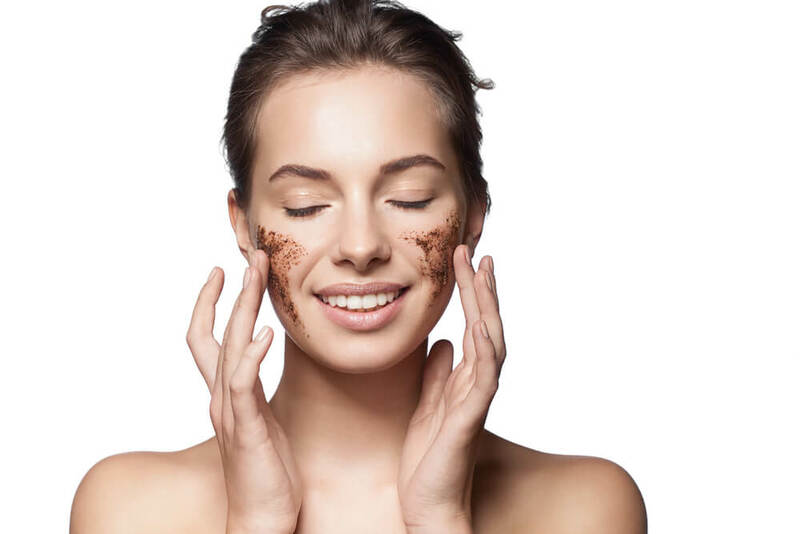 A face mask is ideal for a deep cleanse of your skin. It will help to unclog your pores that harbour bacteria that lead to blemishes. It also helps stimulate blood circulation from the drying/hardening effect on the skin which will improve your overall skin tone. A mask will improve the skins overall appearance and allow your other face products to work more efficiently. Apply mask to a fresh, clean and damp face. To allow the mask to penetrate the skin deeper we recommend to exfoliate the skin lightly prior to applying mask. Apply your mask with a brush to your entire face and décolletage. Allow mask to sit on skin for 20 minutes. Do not allow your mask to completely dry whilst on the skin. Lightly spray a toner over your mask every few minuets or when it feels dry to keep skin moist. When ready to take the mask off, take a warm, damp cloth and hold over your face for a few seconds to allow steam to soften mask. Then gently use the cloth to wipe away the mask. Follow with your toner and moisturiser.